Internet of Things is the future, and every big tech companies are trying to become an integral part of this upcoming trend. Keeping this in mind, Google is developing an operating system for connecting all devices via the Internet. Google is expected to launch a new Android-based operating system that would be lightweight enough to run on low-power devices connected to the "Internet of Things" (IoT), reported The Information. The OS is dubbed "Brillo," and the news outlet claims the company is likely to release the new operating system under the Android brand next weekend at Google I/O, the company's annual conference for software developers. The connected OS, which may require as little as 32 or 64 MB of RAM to run, could be used on everything from major smart home appliances such as refrigerators, TVs to smaller tech such as garden monitors, light bulbs, door locks and sensors. According to The Information, the search engine giant wants to design their own IoT communications schemes instead relying on the hardware vendors for IoT operating systems. 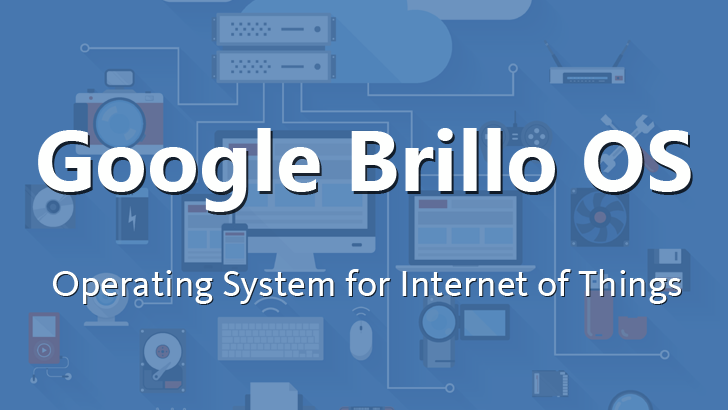 Google will also offer Brillo for free to OEMs. A New voice commands to access Android devices. An analysed carried out by Gartner suggests that the number of Internet-connected devices will rise to 26 Billion in number by the year 2020 from 900 Million in 2009, making most of the "dumb" objects into smart devices that could communicate with each other. Not alone Google, many tech companies have been making big bets on the Internet of Things. Just two days ago, Chinese telecommunication giant Huawei launched LiteOS, an operating system with just 10 KB in size designed for running connected appliances and machines. Moreover, reports suggest that Microsoft is releasing a version of Windows 10 called Windows 10 IoT Core that is meant to run on ultrasound machines, ATMs, and wearables. Also earlier this month, Samsung announced the Artik line of hardware that is designed for IoT devices with open software and Samsung hardware.